Pakistan's current account deficit rose to $7.9 billion in the first half of the current fiscal year and is likely to reach $16-18 billion by June 30. 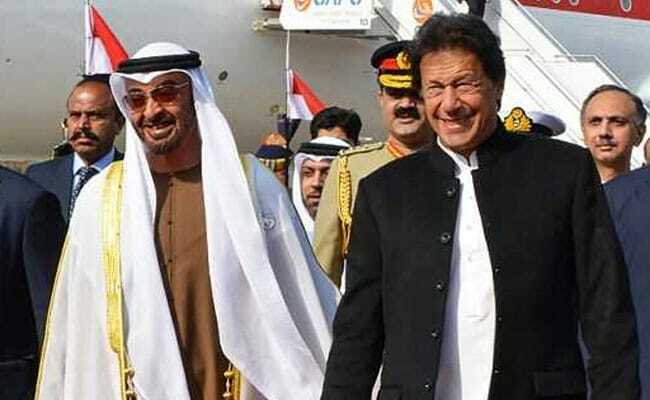 The State Bank of Pakistan (SBP) received $1 billion from the United Arab Emirates (UAE) following an agreement with the Abu Dhabi Fund for Development (ADFD), to help bridge Islamabad's current account deficit. The ADFD on January 22 agreed to provide $3 billion to Pakistan in three installments, Pakistan-based Dawn news reported. "The SBP has received $1 billion from the UAE today," the bank's spokesman Abid Qamar told the media in Islamabad on Thursday. Prior to this, Pakistan had approached China and Saudi Arabia for funds to avoid a balance of payments crisis. Finance Minister Asad Umar, while presenting the mini-budget in Parliament on Wednesday, said that the government may also enter into an International Monetary Fund-led programme. He also said that the government was not in a hurry as it was considering other options including bilateral support. The government signed a similar deal of $3 billion with Saudi Arabia earlier and the kingdom has so far placed $2 billion in the SBP account whereas the last tranche of $1 billion is expected in February, Dawn news said.